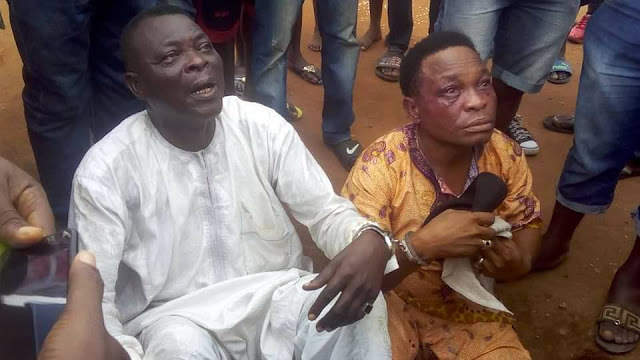 Two men who decided to steal a Toyota Camry in Benin city, edo state - got more than they bargained for after they were caught during the failed operation. The elderly men were apprehended by eagle-eyed residents as they tried to vanish with the Camry 2.2. They were beaten by the mob who rounded them up before handing them over to security operatives.